LONDON (VIP NEWS) — Midnight Memories, the latest album from One Direction, has overtaken Emeli Sande`s Our Version of Events to become 2013`s top-selling artist album. According to the Official Charts Company, the album has sold more than 685,000 copies in the five weeks since its release. It is the boy band`s third album. Scots singer Sande`s album has sold 683,000. Her debut album was the biggest seller of 2012 and has sold more than two million copies to date. 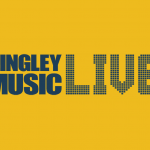 The figures mean no album by a single artist has reached a million sales in 2013, for the first time in more than 20 years. Official Charts Company chief executive Martin Talbot called One Direction`s speedy ascent "a very impressive achievement". 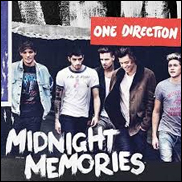 Midnight Memories, the band`s third album debuted at number one in the chart, selling more than 237,000 copies during its first week, making it the fastest selling album of 2013. The record also made chart history in the US, entering the Billboard 200 at number one, making them the only group to have their first three albums top the chart in their opening week. The One Direction documentary movie This Is Us, directed by Morgan Spurlock, recently became the fastest selling music DVD/Blu-ray in UK history, selling 270,000 copies in its first three days on release.